I recently shared how sleep training gave me more freedom. Teaching my kids the skill of great sleep allows me to spend more time with friends, family, and making memories that will be cherished for years. Unfortunately, there’s this parenting myth that sleep training means you are always tied to your house and an inflexible schedule. This isn’t true! Let me help debunk the freedom myth and give you practical solutions that keep your household happy in all areas of life, starting with sleep! I use my pack-and-play all the time. I’m rarely caught short when visiting friends because I keep an on-the-go sleep option in my car in case I decide to hang out with friends longer than expected. This way I can put my littles down for a nap wherever I am. These are a lifesaver! 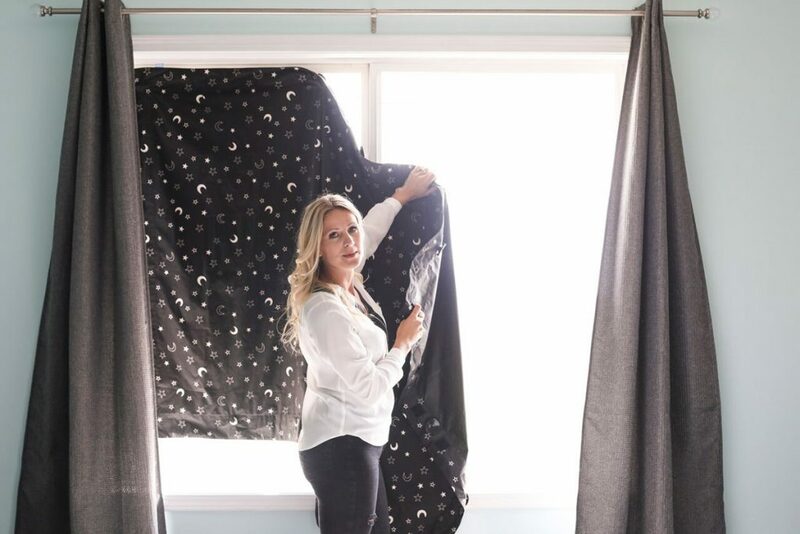 They fit just about any window, attach using only suction cups, and almost completely blackout any room. A darker, cave-like sleep environment will help with long-lasting naps and ensure your baby sets off all the sleep alarm bells to the hormone system, so it can produce some melatonin to settle your child to sleep. I had the City Select stroller and was able to pick up the bassinet on Shop and Swap pages very cheaply. I used it for over 6 months with my son and it was a life saver! 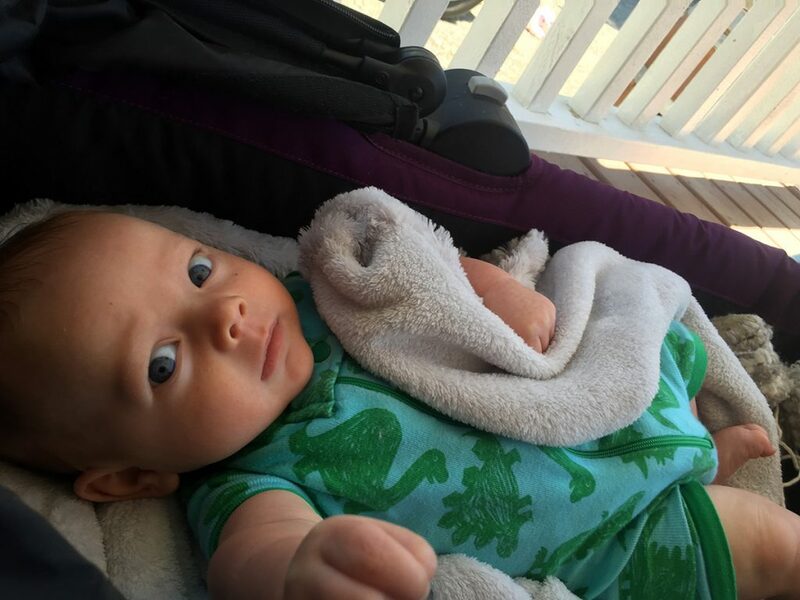 When out for walks, I would simply put him in the bassinet and leave the car seat in the car and let him sleep laying flat, swaddled in a sleep sack, tucked into a nice cool dark sleep space. Heck, my toddler loved it and would nap in there on vacation at 2 years old, haha! She was far too big for it but it goes to show you, if you teach your babes to LOVE sleep, they will happily curl up just about anywhere to get some zzz’s. Please also consider that although a car seat is convenient, safety guides do deter the use of them for prolonged periods of time and for the use of sleep. The position can be a risk to their airways in the newborn stages. #4 Have play dates and coffee morning at your house! I loved doing this! It was chaos and at times I had over 8 babies and 8 mommies in my house, but you know what? It was a room filled with love and I got to stay in my PJ’s haha! This way you can nap your baby in the comfort of their own crib and you still get to visit with friends. Teaching your baby to sleep is nothing to be ashamed of. It’s a life skill and one that needs your guidance. No matter which approach you take, your child does need to learn the basics of sleep and the sooner the better. So, if you aren’t able to put them down, or they are fighting all day to sleep, screaming for hours in a fit of overtiredness, then invest in rest. A sleep trainer may very well be the answer to your challenges. Rest assured, if you work with me, I will make sure you get out of the house, have a social life, hit the gym and all that’s in between, while enjoying the benefits of a baby that can sleep anywhere for anyone and have peaceful nights. Check out my personal thoughts on how sleep training gave me more freedom or contact me for your free 15-minute consult!